2016 FORD F150..SUPERCREW..XLT PACKAGE..LOADED..CHROME PACKAGE..TRAILER TOW..RUNNING BOARDS..FULL POWER..WARRANTY..115 POINT SERVICE COMPLETED..CALL.New Price! 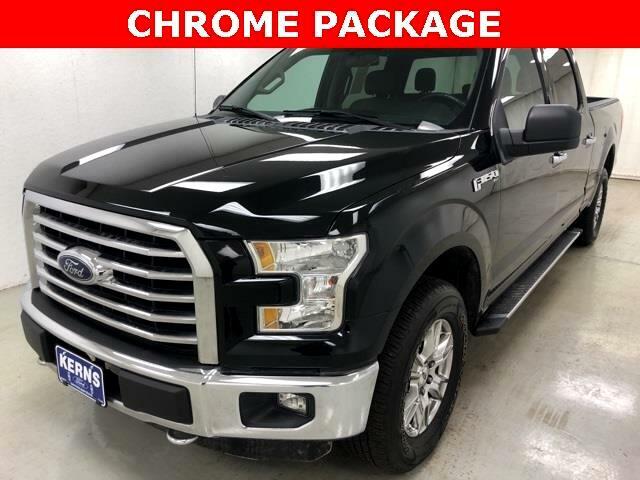 F-150 XLT, 4D SuperCrew, 5.0L V8 FFV, 4WD, Medium Earth Gray w/Cloth 40/20/40 Front Seat, ABS brakes, Auxiliary Transmission Oil Cooler, Chrome Billet Style Grille w/Chrome Surround, Chrome Door & Tailgate Handles w/Body-Color Bezel, Chrome Step Bars, Class IV Trailer Hitch Receiver, Compass, Electronic Stability Control, Equipment Group 300A Base, Illuminated entry, Low tire pressure warning, Pro Trailer Backup Assist, Remote keyless entry, Single-Tip Chrome Exhaust, Traction control, Trailer Tow Package, Upgraded Front Stabilizer Bar, Wheels: 18" Chrome-Like PVD, XLT Chrome Appearance Package. Priced below KBB Fair Purchase Price! At Kerns Ford Lincoln & Truck Center, whether you've got great credit or bruised credit, we have the car / truck / SUV / van for you. We believe in Live Market Pricing to ensure our prices are very competitive and minimize the back and forth negotiations that most shoppers aren't big fans of. Give us an opportunity to earn your business -- you'll be glad you did!